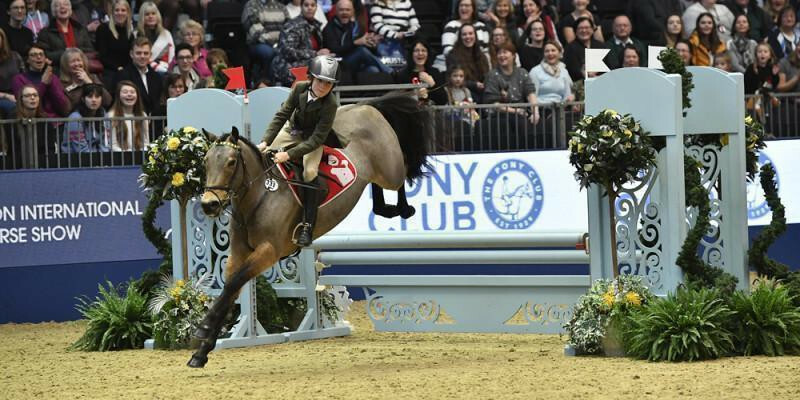 Thomas Bradburne and Webbswood Runaway Dolly paired with Belgium’s Francois Mathy were 3rd at Olympia on Sunday in the prestigious Pony Club Mini Major show jumping competition. Just 8 children in the UK qualify to compete in the class, having to win one of the 6 qualifiers held across the UK, outright. (There are 2 further spots given to the child with the best placings in the qualifiers). The pony club member is paired with an International rider and it is the fastest pair over the course cheered loudly by the Olympia crowd that wins. The winner was Poppy Deakin, (she is off Thomas’s Christmas card list) riding Mohill sundance who was paired with Laura Renwick.